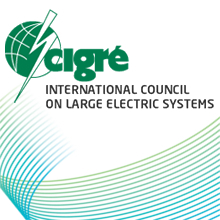 During Cigré 2018, which will take place from 26th to 31st of August in Paris, we will present our wide range of instrument transformers, services and solutions for electrical measurement in high voltage. Placed in the booth #124 we will be focus on our latest developments in HV Instrument Transformers and innovative solutions for digital Substation. We will focus on the Power Voltage Transformers. These Transformers combine the benefits of a power transformer with applications of a distribution transformer in a single device. They can supply several kVA of low voltage power directly from a high voltage transmission line. Therefor they can be used for various applications, such as power supply for telecommunication and monitorung systems. You will also get the chance to learn about possible new fields of application thanks to the digital measurement based on optical instrument transformers and our Stand Alone Merging Unit (SAMU) for projects with process bus under the paradigm of the IEC 61850 digital substation. This will be an excellent opportunity to share experiences and knowledge with you.